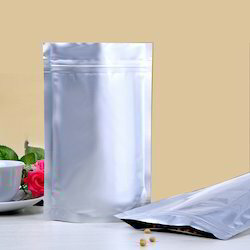 Manufacturer of a wide range of products which include self adhesive transparent bag, plastic bags, self adhesive bag, plastic pouches and packing bags. We offer for the client’s Self Adhesive Tape Bags that are designed and manufactured in accordance to the market standards. 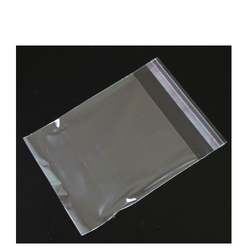 The Self Adhesive Tape Bag is an ideal preference for storing varied products like clothes, books, etc. We have high specialization in manufacturing and supplying best quality of Plastic Bags, which are fabricated as a part of our multi utility, fully customizable product range. Widely used for containing foods, goods, and waste. it is made from factory tested polyethylene. In addition to this, we are crafting these bags with carrying handles and holes for convenient hanging as per the clients’ specifications. Courier bags are no more white, plain and boring! 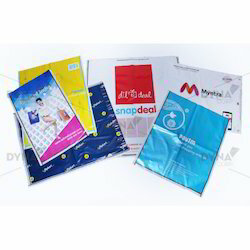 We offer Screen printed courier bags with design as per customer's requirement. Available with amazing features. Double time100% checked (each process with strict checking,making sure each pc goods with good quality).